And the (promo) discs just keep on comin'. 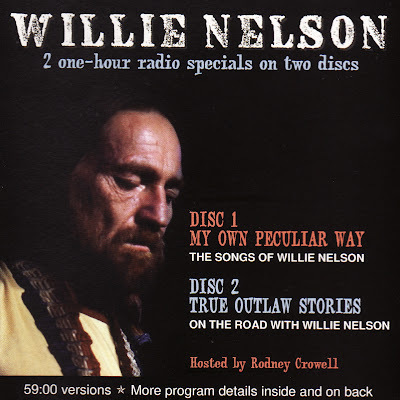 I'm happy to add another post featuring the great Willie Nelson to our earlier one of Willie's hard-to-find solo acoustic recordings on Who'll Buy My Memories: The I.R.S. Tapes. This pair of specials was released in 2008 to promote the One Hell of a Ride career-retrospective box set. 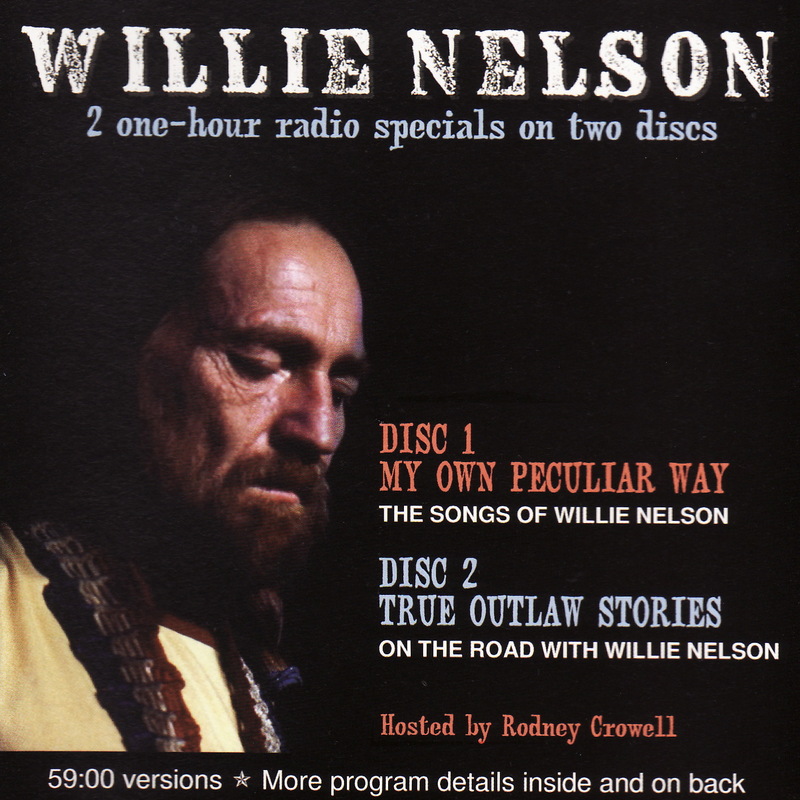 The first disc is called My Own Peculiar Way: The Songs of Willie Nelson. It will be followed here tomorrow(ish?) by True Outlaw Stories: On the Road with Willie Nelson. If you only know Willie as a pony-tailed, pot-smoking, tax-dodging, strange-voiced pop-cultural punchline, this is the perfect opportunity to raise your consciousness. He's one of the best songwriters, most creative song interpreters, and most inspiring artists of the past half-century. Check these shows and the solo recordings out, then try Phases and Stages, Red Headed Stranger, and, yes, Stardust as your next steps in discovering him. Link in comments. Say hello, and tell us what Willie Nelson song or album speaks to you the most! Looking forward to check it out, thanks in advance. Thanks, I love Willie. What an American icon. I think I would have to say that Phases and Stages is my favorite Willie album. Any chance of a repost, PLEASE?